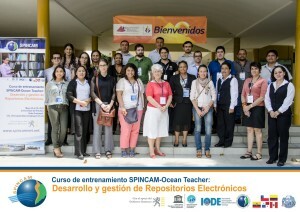 The INIDEP Library and Documentation Service has participated last May in an important training course organized by Comisión Permanente del Pacífico Sur (CPPS) and OceanTeacher/IODE (UNESCO/COI Project). 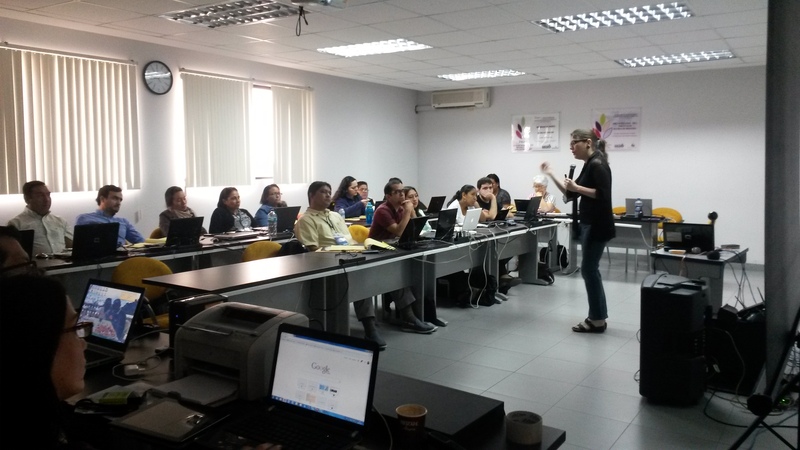 The course “Development and management of e-repositories” took place between May 26 -30, 2014, at Universidad del Pacífico, Guayaquil (Ecuador). 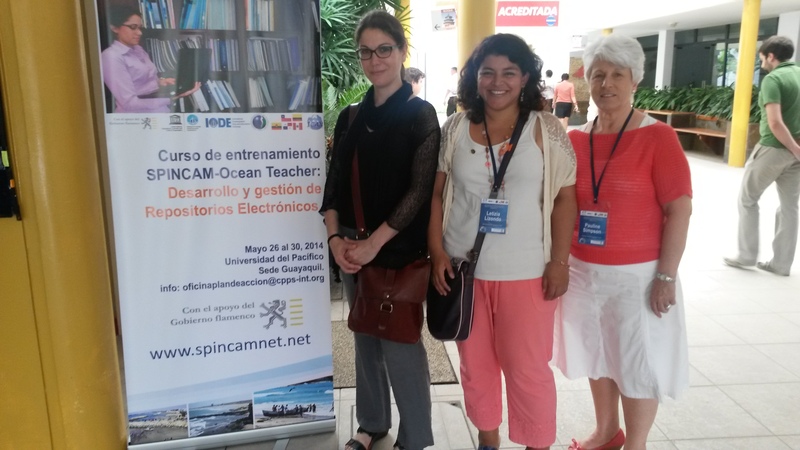 Organizers invited the librarian Leticia Lizondo (INIDEP) as part of the teaching team, together with Imma Subirats (FAO, Rome) and Pauline Simpson (Central Caribbean Marine Institute, Cayman Islands). This activity is part of the skills development program of SPINCAM Project (Southeast Pacific Data and Information Network in support to Integrated Coastal Area Management), designed to establish an integrated coastal area management (ICAM) indicator framework at national and regional level in the countries of the SE Pacific region (Chile, Colombia, Ecuador, Panama and Peru) focusing on the state of the coastal and marine environment and socio-economic conditions, to provide stakeholders with information and atlases on the sustainability of existing and future coastal management practices and development. One of the priority training areas for SPINCAM members is the development and management of e-repositories for each participant country in the Project as well as to manage properly the scientific output (papers, images, datasets, etc.) of their organizations/countries. 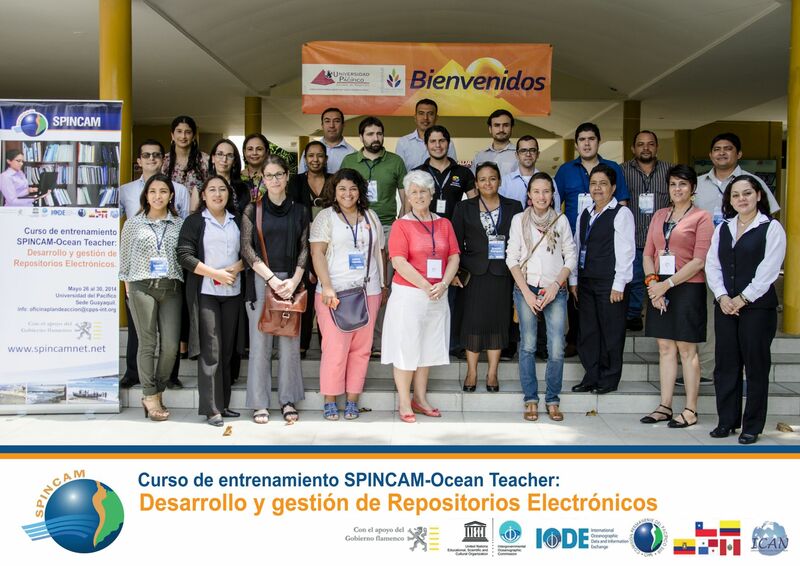 INIDEP participation in this course is highlighted by its commitment in the Digital Repositories National System (SNRD), from Science, Technology and Productive Innovation Ministry (MINCyT) in Argentina, and the recent approval of the law of Open Access in our country. Our organization is currently developing its institutional repository “Mar Abierto” (Open Sea) which is expected to be officially displayed to the national and international community before the end of this year. This event was IODE first steps in its Ocean Teacher Global Academy project, whose target is to offer training courses in different regions with local trainers. Link to Spanish version in INIDEP blog.